PowerFolder is a cloud-based business information management system. It is easy to share and sync files with others and collaborate on documents, using this software download. If you have invested into hardware and file servers, you can generate more value from them by using them for your own private cloud. PowerFolder connects computers and allows to exchange all kind of data, which you want to sync or share between multiple computers. 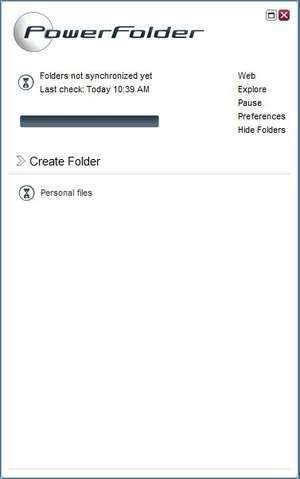 PowerFolder 10.4.321 is a shareware program and can be used as a demo to try the software until the free trial period has ended. A full version of the program is available after the trial period ends. For security reasons, you should also check out the PowerFolder download at LO4D.com which includes virus and malware tests. Additional screenshots of this application download may be available, too.